For the first time in more than 125 years, Montreal’s Christ Church Cathedral is appealing to the wider community to help save its mission to the public and the building that makes that mission possible. The Major Fundraising Campaign has a goal of $10 million, to preserve the spire, interior and exterior of the building, and to support the cathedral’s rich musical tradition, public concerts and social services. 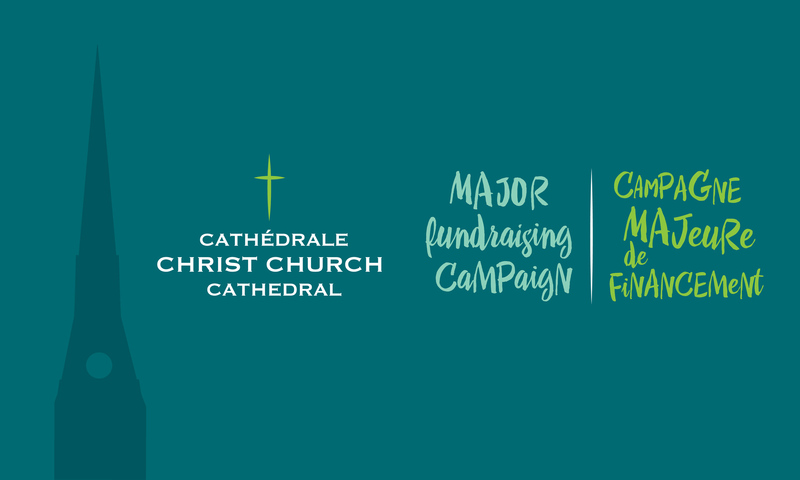 Christ Church Cathedral’s one-time major fundraising campaign, Rising Up From the Heart of Montreal, aims to raise $10 million over 5 years. In addition to urgent repairs needed to the Cathedral’s historic spire, masonry, and aging infrastructure, donations will also support growing social outreach and public musical offerings. The aim is more than to restore an architectural landmark; it is to secure the Cathedral’s future in its vital role in the community and as an integral part of the fabric of Montreal. Despite diligent maintenance over the years, time and the elements have been hard on the Cathedral building. A comprehensive assessment conducted in 2015 by Fournier, Gersovitz, Moss, Drolet & Associates, now ÉVOQ, an architectural and design firm with recognized expertise in heritage buildings, identified a number of immediate interventions needed to repair, restore, and upgrade the building – both inside and out – before even more complex, costly, and hazardous issues arise. The largest challenge by far is the Cathedral’s spire, which is corroding from the inside and is at risk of collapse. The planned repairs are crucial to ensure the continued integrity of the building and to support Christ Church Cathedral’s vital mission to serve the community, reaching out to those in need, and to advance principles of social justice. In response to the urgent infrastructure needs, we are embarking on an unprecedented major fundraising campaign in anticipated partnership with the Conseil du patrimoine religieux du Québec (CPRQ). Parks Canada has also been supportive of a site they have recognized as one of significant national historic importance. Encouraged by the generous initial support from foundations, corporations and individuals, we believe the campaign will also secure long-term funding for growing social outreach and popular public music programs. We hope to rally public and private support to ensure a successful campaign and consolidate the position of Christ Church Cathedral as a vital player in the Montreal community.